1 DVD · 1 hr. 24 mins. Whether on index cards or in a computer file, clear, organized notes enable you to keep track of helpful resources, remember significant details, recognize important themes, and capture key bibliographic data. 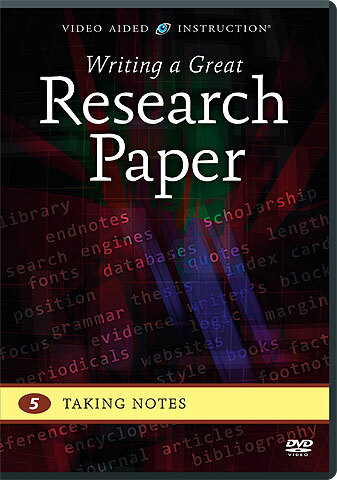 This extensive program demonstrates and evaluates several proven note-taking methods that will make drafting, formatting, and polishing your paper much easier and faster!